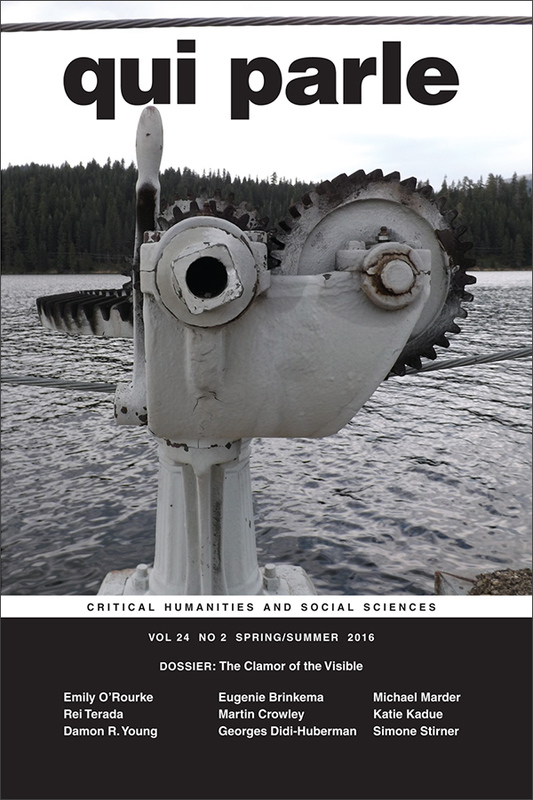 This special issue, “The Clamor of the Visible,” includes essays on film that analyze strategies of image-making from the 1960s forward and how these images speak politically and ethically. Contributors include Eugenie Brinkema, Martin Crowley, Georges Didi-Huberman, Katie Kadue, Michael Marder, Emily O’Rourke, Simone Stirner, Rei Terada, and Damon R. Young. To subscribe to this journal visit the Qui Parle page. View the table of contents for Qui Parle 24:2, at the journal's online site.